My apologies for not posting in a while. Greg and I went to Arizona with his parents for a much needed vacation. Needless to say I didn’t do a lot of cooking or writing. We did do a lot of hiking and hanging out at the pool. 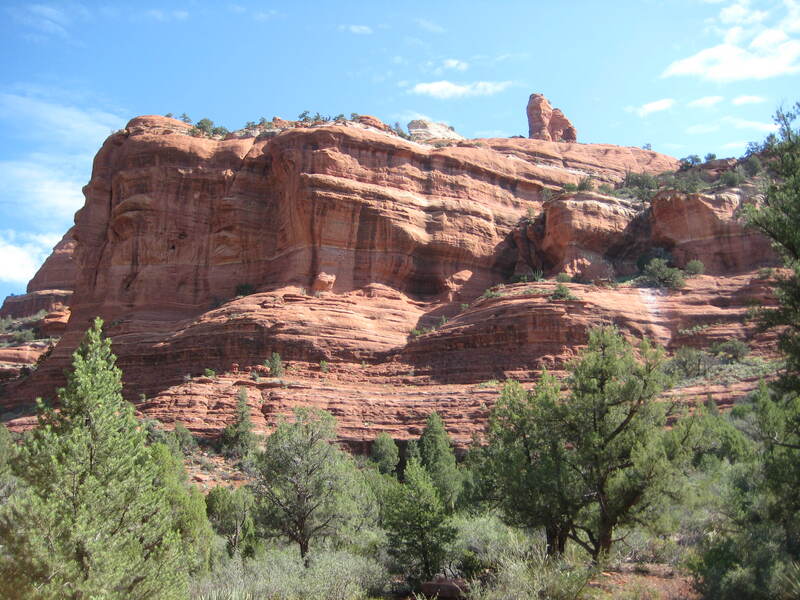 Above is a view of some of the Red Rocks in Sedona. 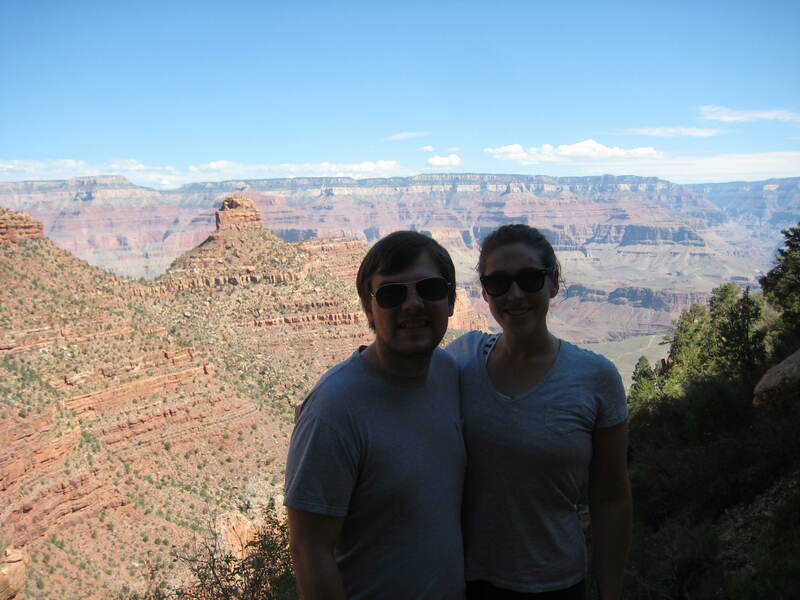 We also spent some time at the Grand Canyon! I did manage to cook one meal on the trip, it’s on of Greg’s favorites – Roast Chicken. It’s so simple I almost didn’t even post it but it’s so delicious and moist that I decided to share it. The best part of this recipe? At least for Greg and I, there is enough chicken leftover for matzo ball soup or lunch the next day. You can also use the leftover bones for chicken stock. The only downside is that from start to finish this recipe takes an hour and a half, but if you throw it in the oven the second you get home from work you’ll have a lovely roast chicken that is mainly hands off. Adjust the oven rack to the middle position, place roast pan on rack and heat oven to 450°F. Combine the salt and pepper in bowl (see notes for alternative seasoning). Pat chicken dry with paper towels. Rub entire surface with oil. Sprinkle evenly all over with salt mixture and rub in mixture with hands to coat evenly. You can also tie legs together with twine and tuck the wing tips behind the back but I’m always too lazy and it tastes great no matter what – mine just ends up looking a bit spread eagle. Transfer chicken, breast side up, to preheated pan in oven. 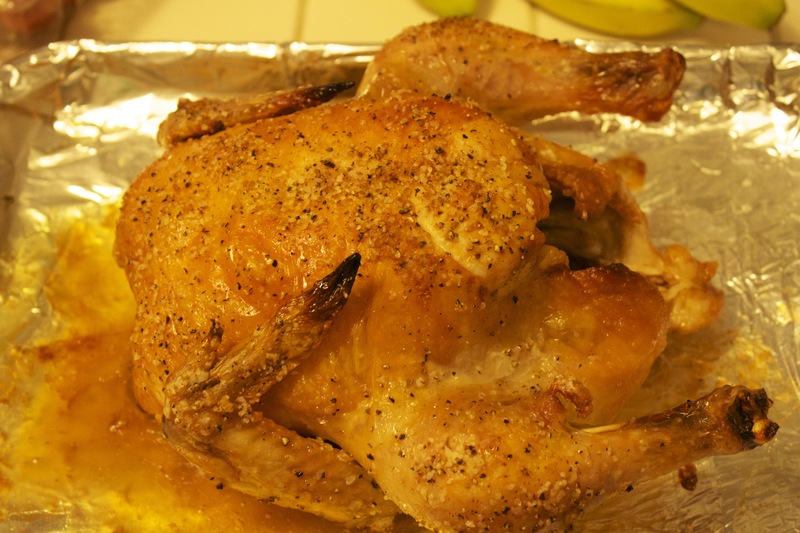 Roast chicken until breast register 120°F and thighs register 135°F, about 25-35 minutes. Turn off oven (DO NOT OPEN OVEN!!) and leave chicken in oven until breasts register 160°F and thighs register 175°F, about 25-35 minutes. Transfer chicken to carving board and let rest, uncovered, for 20 minutes. Carve chicken and serve. Although you may want to peak at the chicken DON’T! If you open the oven door heat will escape and the chicken won’t cook all the way through. Just wait at least 25 minutes and check the meat with a thermometer. Unless you’re like me and don’t have one, then wait the full 35 and pray everything is cooked. Sometimes I’m feeling feisty and want a little punch to my chicken. You can replace the olive oil, salt and pepper with this garlic rub, just a heads up though – its super garlicky but awesome. Slather this rub all over the chicken and finish following the directions above.